Description Single New York, New Haven & Hartford (N.Y.N.H.&H.) Railroad playing card with an industrial scene painting on the face. 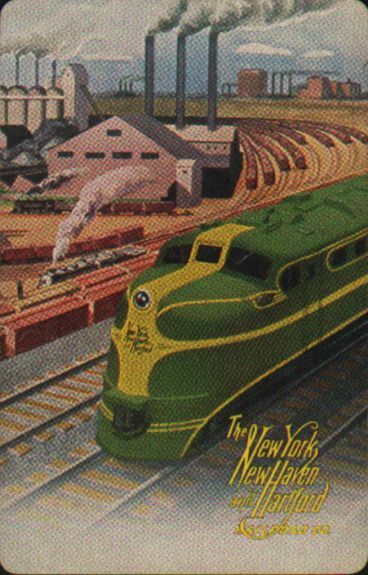 Included in the painting are a factory and rail yard in the background with the green and yellow nose of an ALCO DL109 (DL 109) on a triple track mainline. 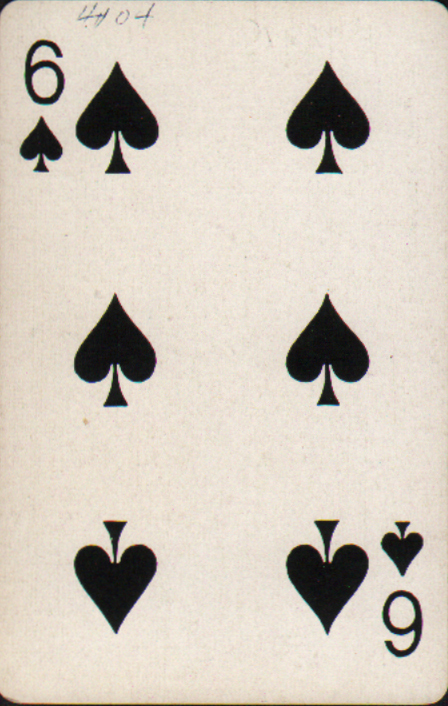 This card is the 6 of Spades.